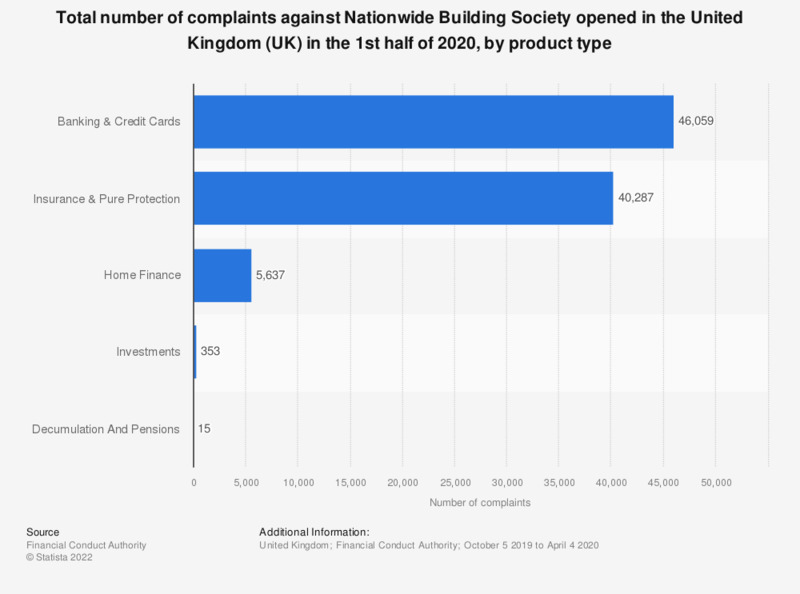 The statistic presents the number of complaints received by the Financial Conduct Authority (FCA) regarding the financial products of the Nationwide Building Society in the United Kingdom (UK) in the first half of 2018. There were almost 29 thousand complaints submitted against Nationwide regarding insurance and pure protection products and services issues in the first half of 2018. * Reporting period for complaints was from October 5th 2017 to April 4th 2018.